Along Highway No. 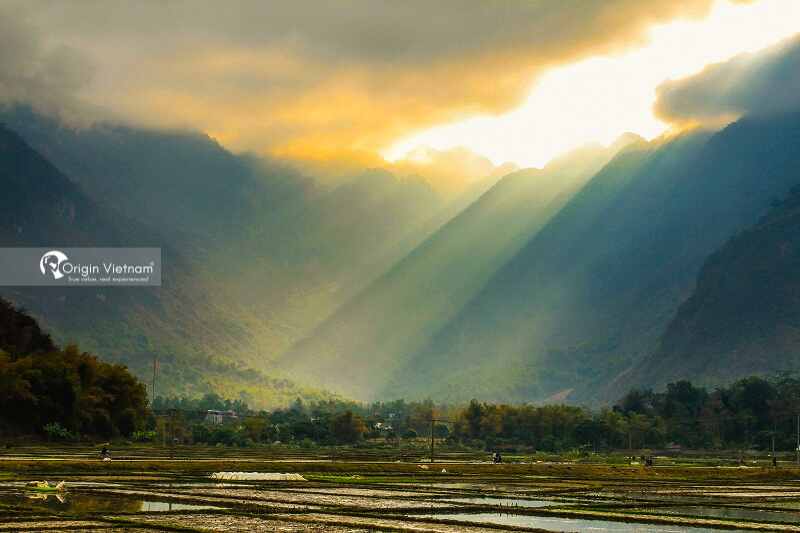 6, two places named Mai Chau and Moc Chau are very familiar with tourists cross the year thanks to the beautiful weather all year round. 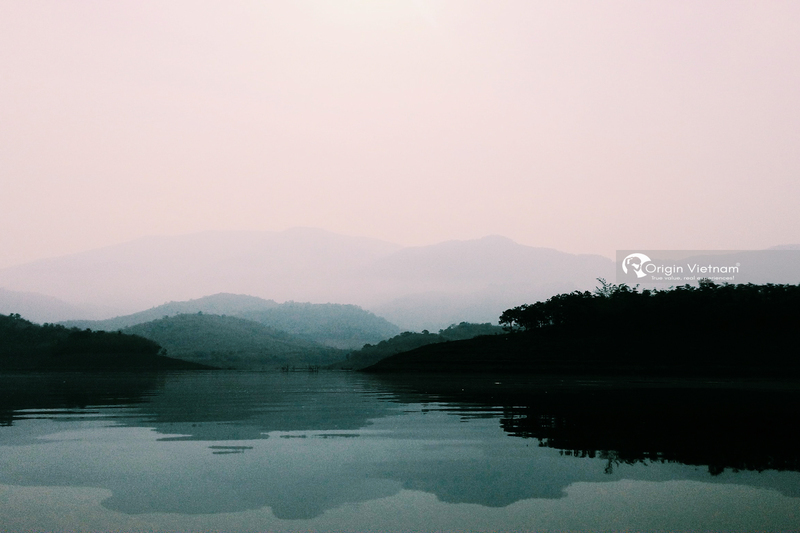 But on the way to Moc Chau there is a place still makes many strangers are Ba Khan, heaven is forgotten. How Ba Khan Plateau is unique? Ba Khan is a commune in Mai Chau district (Hoa Binh province). It's located along the mighty Da river. Ba Khan has an area of ​​just over 20km², small peaceful but poetic. Before the smooth and smooth concrete road was built from the project, the roads or inter-village roads. Which were all year round muddy mud, made Ba Khan forget a long time. However, thanks to the natural and unspoilt nature of Ba Khan, tourists are attracted to this place, considering it a fresh. Fresh discovery as the situation of commercialization and tourism is overwhelmed. 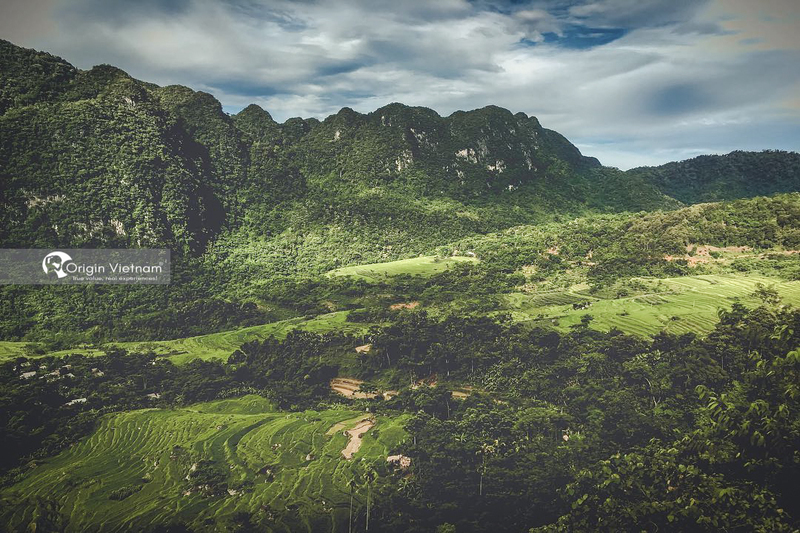 Lying at the foot of the White Stone Pass, Ba Khan hides his glamorous beauty in a gentle, bamboo-lined boulevard stretching across three villages of Khan Thuong, Khan Ha, and Khan Ho. On the one side is the strongest wall cliffs and other side is the blue river Da river break the small islands, scenery Ba Khan opened before visitors eyes paint water beautiful to wonder. Initially, you will go through the winding path around the cliffs of the Da River. 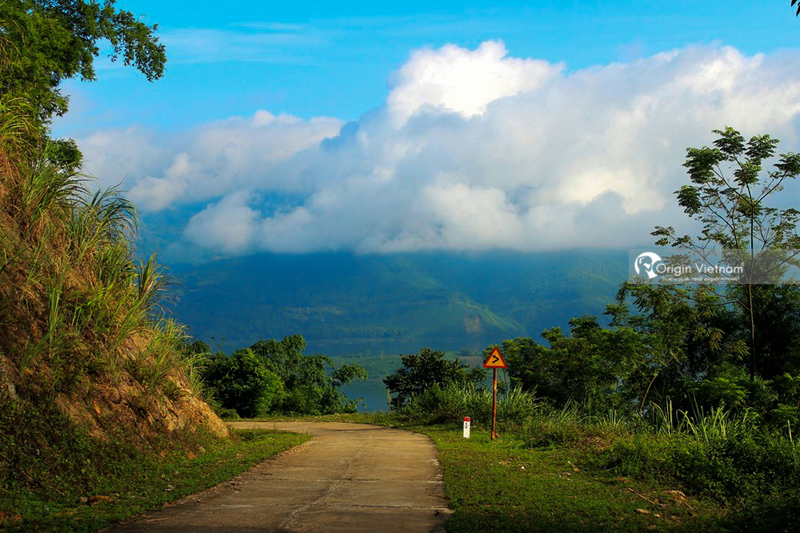 Drive through steep sloping roads, mountains running along steep cliffs that are mostly shaded by bamboo rattles. Look up high, sometimes you see the big bamboo block that makes you feel like movie studio. Occasional, you will encounter the simple house floor of the Muong people, orchards, or cattle by the people themselves. Especially if you have the time, explore Ba Khan by bike. That is the best way to discover. Small, flat streets with muong houses on the side of the Muong people on the side, crocus fields crowded in the stone, farmers go to herding cattle or carefree children playing in the village landscape. We feel very close and just want to stop looking at forever. But if you want the feeling of conquering, the spectacular winding pass through rocky slopes along the Da River does not disappoint you. The road to Ba Khan from Luong Son Town is also ideal for slow-moving cars. That are not too steep, and are safe from virtually no passenger cars or trucks as well as off-highway. 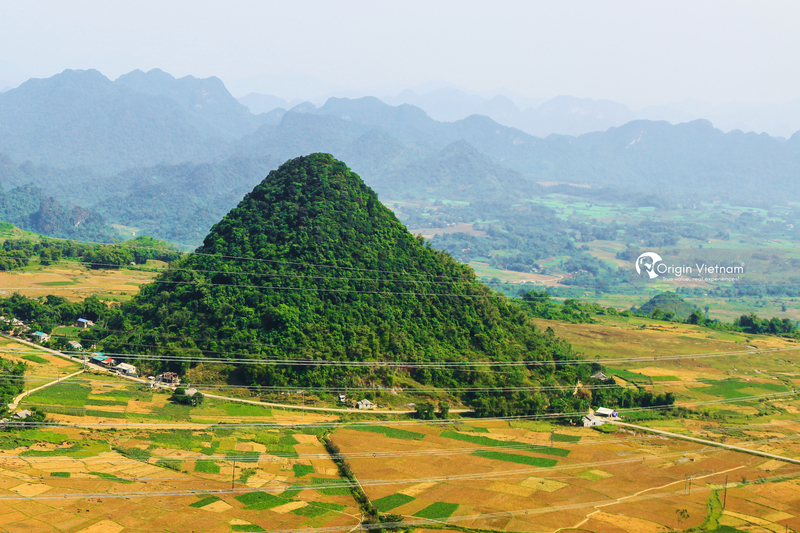 The trail will lead you to a "Halong on land" with mountains and islands beside the majestic Da river. It's a great watching a part of the Hoa Binh river with blue water in a serene environment that anyone when they arrive. These are not surprised by the beautiful scenery as natural painting. Guests can also enjoy themselves in the beautiful waterfall as silk strip at the end of the tour in Ba Khan. A beautiful waterfall intermingled between the four bamboo, peaceful paradise. What to eat in Ba Khan Plateau? The food at Ba Khan is also an interesting topic, as Thai homeowners who live along the Da River are well trained all talented chefs. Come here after long hard, you can not not taste the fish cooked in 9 hours. It's a specialty from Da river lake with the very own marinated Thai people. "The fish from the bottom of the waterfall is cleaned, left alone and so far away from the fire. So it will take a whole night to nibble, sniffed nose without burning. 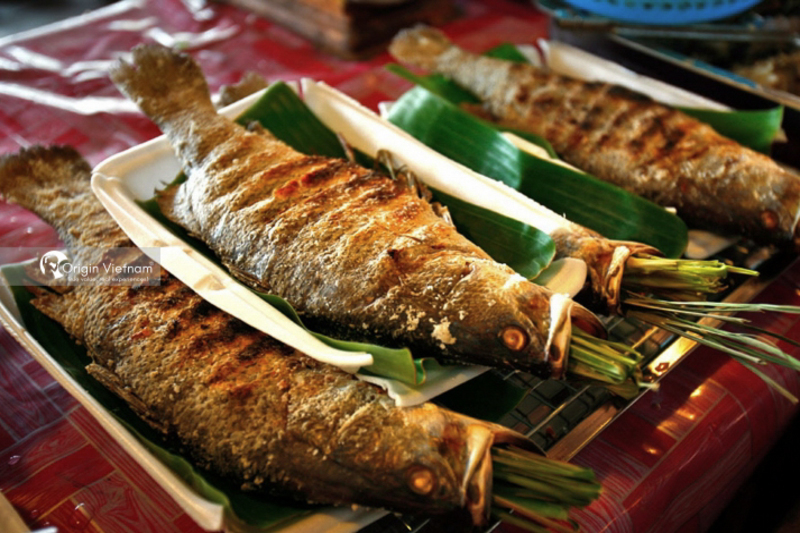 Spicy taste of the aromatic flavor of natural fish makes you only taste once in your life is also unforgettable ". The feeling of a visitor to Ba Khan makes it difficult to resist the attraction from food here. They are simplicity, but they excel in the culture of the Vietnamese people. When is the best time to go to Ba Khan? For Ba Khan, you can go in all four seasons. Because each season here contains the beauty that you personally feel completely. But perhaps the most beautiful Ba Khan is in the fall, when the bamboo groves start pouring yellow leaves down the blue of the Da lake. The Ba Khan Plateau, like a forgotten green paradise. It's now emerging and showing more vigor than ever. 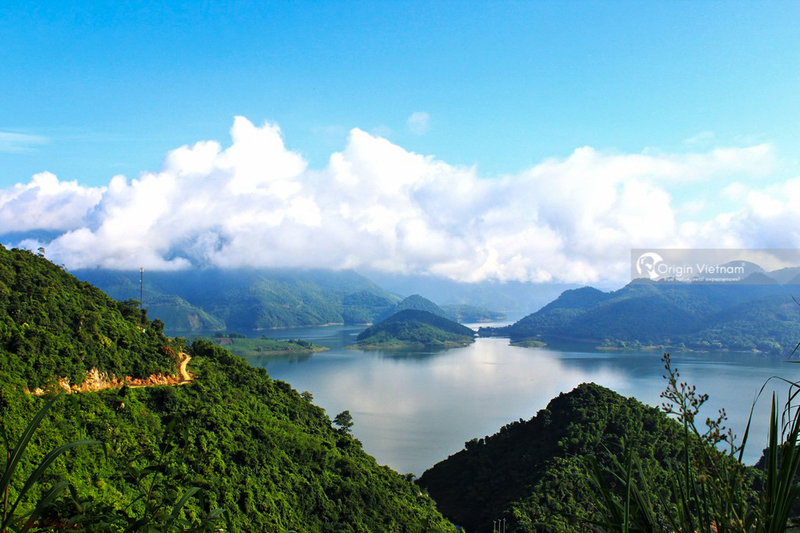 Certainly the holiday weekend on Moc Chau Plateau or Mai Chau next to it will be perfect. If combined with rivers, lakes, waterfalls, peaceful scenery of Ba Khan. Try once to Ba Khan to mix with nature, feel the fresh air here and enjoy the peace of mind.